The 88 remix of 'Reach out I'll be there' was on this blog earlier, but I almost forgot that I have the original version of the song as well. I bought it somewhere in London, although it didn't come in any original sleeve. The single topped the US Billboard Hot 100 chart in 1966, when it was originally released. 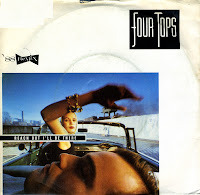 It was equally successful in the UK singles chart, but only reached number 8 in the Dutch Top 40. It has since become one of those indestructible Motown classics. I'm not a purist by any means, but I do think that remixing Motown classics like this should be a capital offence. 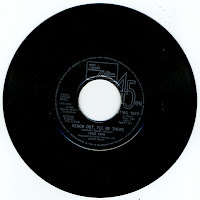 At the height of the Stock/Aitken/Waterman mania in the UK, Phil Harding and Ian Curnow, who worked with the trio rather often, were commissioned to make a remix of the Four Tops classic 'Reach out I'll be there'.